Play and YouTube video in the background, record it’s sound and save it as MP3 or FLAC file. 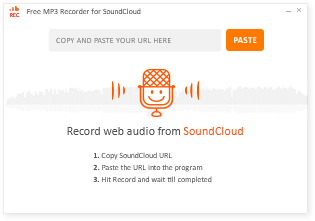 Play any SoundCloud track in background, record it and save as MP3 or FLAC file. 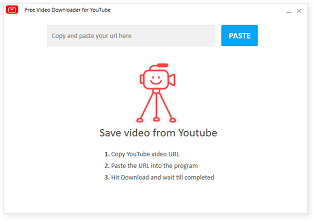 Save any YouTube clip in high quality in MP4, WEBM or 3GP format for free. Convert it to MP3. 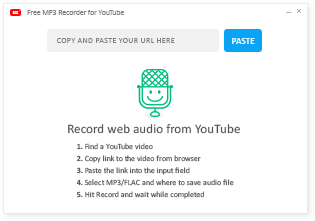 We offer you the simple yet powerful tools as a legal and easy way to record music from YouTube and SoundCloud videos and save it in MP3 or other audio formats. All our software is absolutely free and does not require any registration. You can use it on your Windows PC and transfer downloaded YouTube MP3 files to any other device – PC, Mac, iPhone or Android. Hope you’ll enjoy our tools!